Finexkap offers an online factoring solution for short-term cash issues. Companies can sell their unpaid invoices online to Finexkap, with no commitment on duration, no commitment on the volume, no personal guarantee, and with a transparent pricing of 2.49 % VAT on the face value of the invoices. 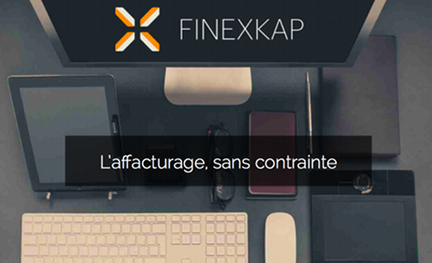 With its unique algorithm, Finexkap is able to select companies eligible for this service.